These classes have a strong focus on technique and education on the basics and importance of functional exercise and injury prevention. twisting, squatting, lunging, pushing, pulling, lifting etc. Exercises are modified as necessary and we aim to balance assymetries and address weakness to improve overall strength, endurance and mobility. programs or any exercise program. Strengthen weak muscles and stretch tight muscles to achieve balance in your body. These classes are suitable for all participants from those who need to reduce stiffness and pain to those who want to advance to more challenging exercises for recreational purposes or freedom of movement. The focus is on increasing mobility, strength, balance, flexibility and fitness for those wanting to begin, maintain or even develop a more active lifestyle. 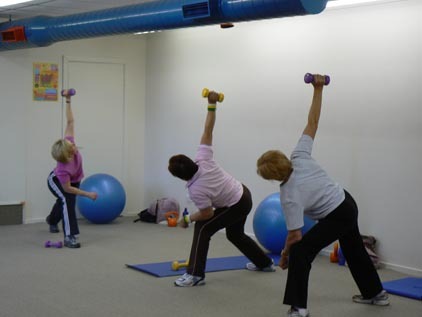 The class aims to retrain weak muscles and improve function of daily activities such as lifting, squatting, pushing, pulling and twisting to make movement easier – a slightly more active class, for ages 40 and up. These classes still have a focus on functional exercise and technique but aim to be more challenging and progression occurs more quickly. You will need a basic understanding of how to exercise safely to prevent injury and know your limits. Some thought and care need to be taken when choosing these classes if you have a current injury or condition which may limit your capacity to participate in more challenging exercise. Different exercises are performed at each of several stations in a timed sequence. These classes are more challenging and great for fitness, strength and improving movement. 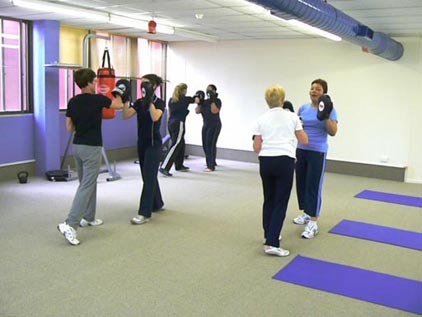 This class uses a wide variety of equipment including boxing gloves with focus mitts, free weights, swiss balls, kettlebells and body weight exercises. 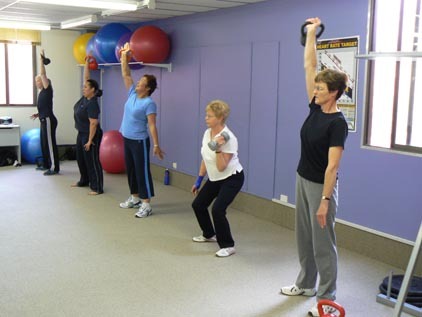 This class combines low and moderate impact exercises to improve fitness, strength endurance. This class is appropriate for those adults without injury. This class includes specific exercise for pregnant women and exercise to assist in recovery after childbirth. A mix of flexibility, resistance and relaxation exercises are taught to improve wellbeing during pregnancy, maintain or improve condition and endurance in preparation for childbirth or assist a full recovery post-partum or later after the arrival of your child. A mix of the circuit class style, and flexibility and strength class, to provide a fun class that provides an overall challenge for the body. Exercises using both equipment and body weight only may be performed. This class is for those who like an extra challenge and exercise that gets you strong for any task. Fitball exercises challenge your balance and perception of where you are in space while kettlebellsget your body fit, strong and flexible all at once. For those who need more personalised programming or supervised exercise sessions 1-to-1 sessions can be arranged with our qualified trainers. to stretch and relax, as well as strength exercises. 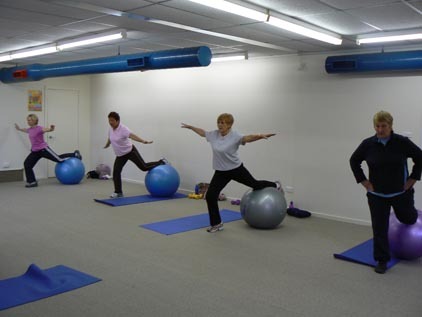 Cross training classes may also be provided if facilities are appropriate. and reach your fitness goals. 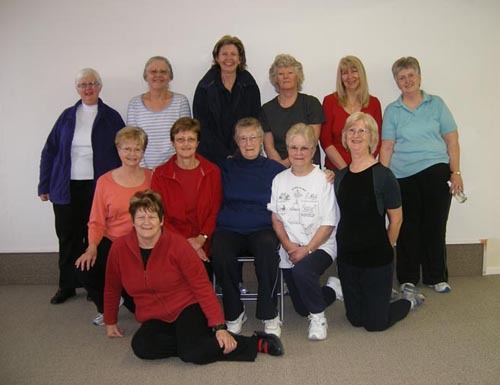 At Flexible 4 Life we tailor the classes so everyone can join in. Dances may include: salsa, mambo, cha cha, meringue, cumbia, tango, flamenco, belly dance, ballet/jazz moves, great stretching. Come along and be prepared for fun, laughter, sweat and dance that everyone can do. to get you fit and healthy. or other dance styles as this is our own class. Dance is for everyone. See www.wholyfit.org for more information. Evening classes to commence first and a daytime class at a later date.